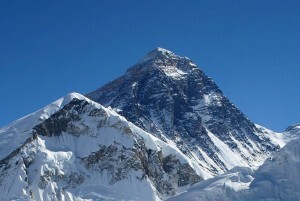 Mount Everest gets 3G coverage! Now if you are planning to climb the Mount Everest and are worried about not being able to update your Facebook or Twitter account, worry no more. Thanks to TeliaSonera and its subsidiary in Nepal, Ncell have bought 3G to the Mount Everest. China Mobile back in 2007 had setup an expensive satellite phone coverage high up at 8,848 meters ontop of Mount Everest. Eight base stations were setup where half of them were powered by solar allowing climbers cheaper alternatives to stay connected. This 3G network is set to expand and $100 million bid for expansion is already in works. TeliaSonera entered Nepal’s mobile market in 2008 to compete in its growing market. CEO of TeliaSonera, Lars Nyberg said, “This is a great milestone for mobile communications, and strong evidence of TeliaSonera’s pioneering role in this industry that is truly changing the lives of billions of people. We are very proud to announce the world’s highest mobile data service as we launch 3G services in the Mount Everest area in the Khumbu valley. From its perch on the world’s tallest mountain, 3G high speed internet will bring faster, more affordable telecommunication services to the people living in the Khumbu Valley, trekkers, and climbers alike”. Considering the number of people climibing Mount Everest on a daily basis, won’t you consider this venture a loss?